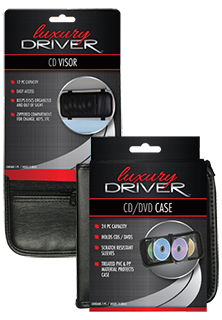 Keep your old CDs and DVDs safe and scratch free with our Luxury Driver Visor and Vinyl cases. These cases are great for the car when you are wanting to jam out to your favorite music or your family and friends want to watch their favorite movies! We have the lowest prices in the nation~GUARANTEED!